Part 1: I take a black-and-white photograph of each student, and students pick photos at random (they are not allowed to use their own image). Using a grid method, students enlarge the image. The first step is completed in pencil. Part 2: Reduce each enlarged square to ¼ inch. 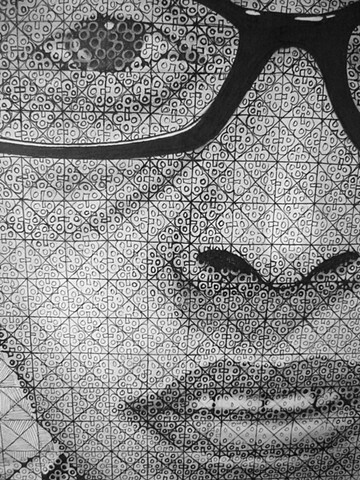 Using the work of artist Chuck Close as an example, abstract each square. The final step is completed in ink, although the students are also allowed to utilize pencil.